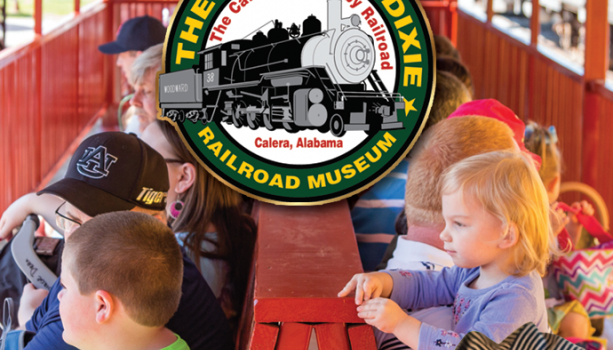 Come celebrate the launch of the 2017 season with fun activities, music and of course, a family train ride at the Heart of Dixie Railroad Museum! 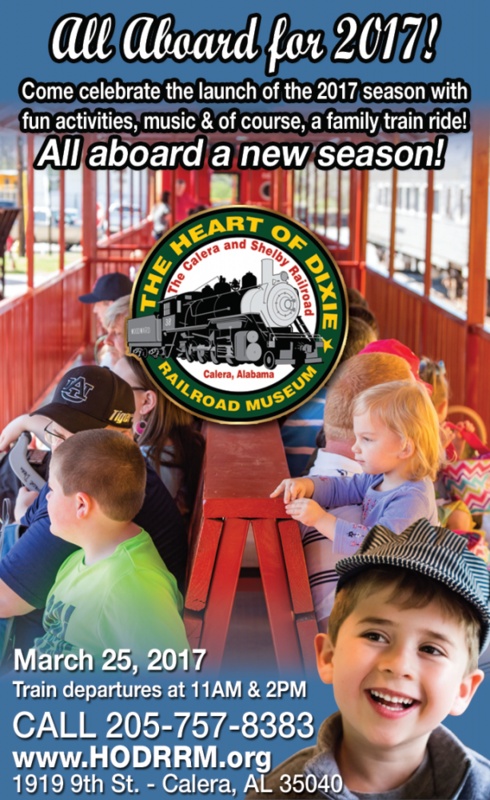 All aboard a new season! Must use code: BFFCLUB when purchasing to take advantage of this offer. 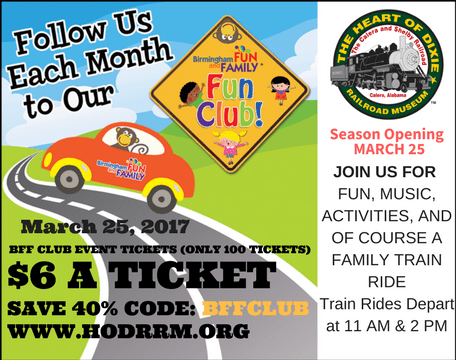 Offer good only on March 25th for the season opener event.